Originally published in March, 2012 issue of Guitar World. 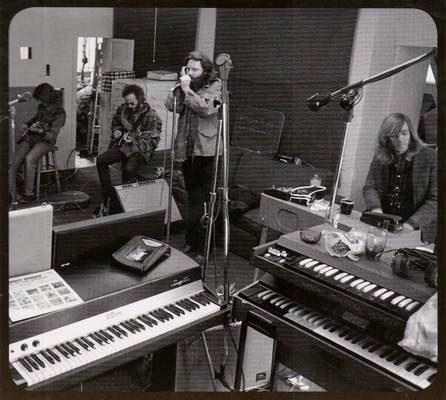 The Doors were at a low point in December 1970, when they gathered to record their sixth studio album. They had been banned from performing after singer Jim Morrison’s prosecution for exposing himself at a Miami concert, effectively killing their performing career. Their previous album, 1970’s Morrison Hotel, had failed to break out. The group was enveloped in a general sense of doom and decline. Then things really started to get bad. “Before we even started recording, our producer walked out on us,” recalls Krieger. 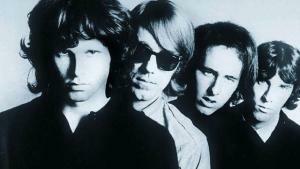 That was Paul Rothchild, who had been behind the boards for each of the Doors’ first five studio albums. During pre-production in the band’s rehearsal space – where they would record the album, to maintain a more informal feel -a frustrated Rothchild decided that the Doors were running into creative dead ends, wished them well and walked out. Engineer Bruce Botnick took over the reins, and that low moment became a catalyst for one of the band’s landmark albums – L.A. Woman. 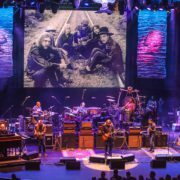 A new 40th anniversary, two-CD version of the album includes alternate takes of “Love Her Madly,” “Riders on the Storm” and the title track, as well as a never-before-heard original, “She Smells So Nice.” Much to the surprise of Krieger, keyboardist Ray Manzarek and drummer John Densmore, Botnick discovered the track, a loose blues jam that segues into B.B. 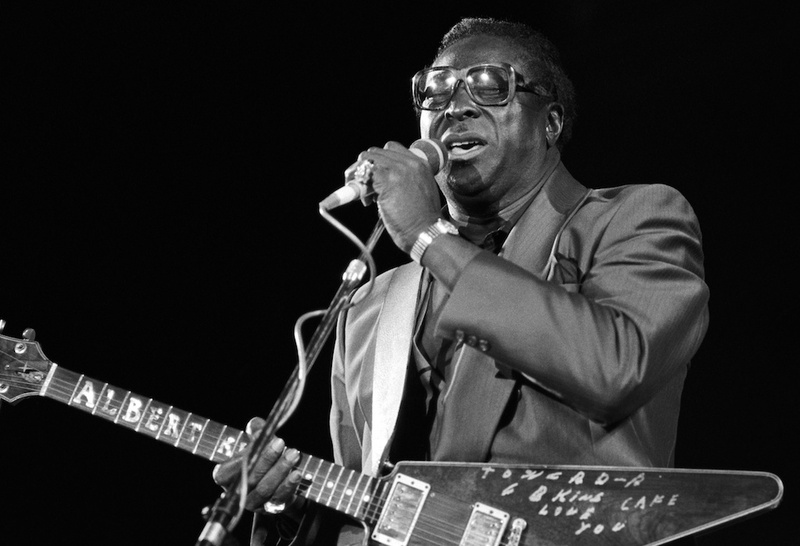 King’s “Rock Me Baby,” while reviewing the album’s session tapes for the reissue. “I think we came up with an album so loose and cool that it has stood up for 40 years because there was no pressure,” Krieger says. “We figured we were screwed, so we started having fun again. We were so far gone that it was like a weight was lifted when Paul left. He was a great producer and you can’t argue with the stuff we did with him but he was always a very difficult guy to work for. He was a perfectionist and we were looking forward to having the dictator off our back and just having some fun recording for once, which is exactly what happened. 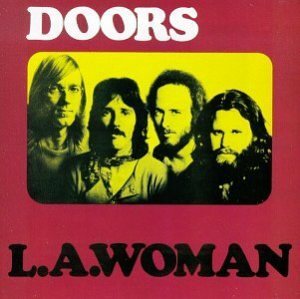 LA Woman was released in April 1971, but what might have been a new start proved instead to be a farewell. Just three months later, Morrison was dead in a Paris hotel room. Krieger shared his memories of some of the album’s greatest moments. “I’ve always considered this the quintessential Doors song. It’s just magical to me and the way it came about was fantastic. We just started playing, and Jim started coming up with those words, and it just poured forth. Jim was sitting in the bathroom, which we were using as an iso booth, singing. I don’t know how he came up with that whole concept on the spot like that, but he did. You would think that would have been a poem that he had written before, as many of our songs were, but it’s not. That was just written on the spot. 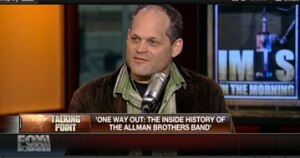 “It’s amazing that we found anything new after all these years and all these reissues. We keep looking in those vaults and I guess we’ve never done a thorough job. We always seem to find something. Bruce Botnick found this and I was glad he did. It was a lot of fun to listen to because it’s really typical of the kind of jams we used to do to warm up and get ready for a session. “It’s fun to hear different version of these songs. Finding all that stuff was a big surprise. When we searched our vaults putting together the box set, we found alternate takes of ‘Roadhouse Blues,’ including one that I really preferred and wished we had used. Ever since, we’ve been searching for outtakes and when Bruce called and said he had heard outtakes, I was really excited. “This just has all kinds of weird things in it. In fact, Ray hates to play it because he always forgets it. When you try to play it with people, they always say, ‘That doesn’t make sense… why do you do this here and not go here?’ There’s no explanation. We just kind of knew when to come in, when to get out, when to make the changes and what one another were going to do. Generally, Ray set the pace and we had to follow or it would all fall apart. He just did what he wanted. “I had a little house up in Benedict Canyon, which is near Laurel Canyon. Jim and John and a couple other people came over to there one night, and we were just fooling around, taping some stuff. And I had this pet bobcat at the time, which would mostly stay outside, but sometimes it would come inside. But by that time it was getting real big, and kind of dangerous, so I didn’t let people pet it or anything. And that’s where Jim got that line about the lions. “And ‘hyacinths’ referred to some hyacinth flowers that were right outside the window. And in that line about the bathroom, Jim was talking about this friend of ours who was there, who kept hogging the bathroom all night. Jim wanted to go to the bathroom, and he couldn’t. Finally, the guy got out of the bathroom, and Jim goes, ‘I see the bathroom is clear.’ He wrote the song on the spot, and I think that was how some of the best Doors songs were written. Then we just recorded it on my little Sony four-track, which was a real nice, high quality tape recorder. To call it a home studio is kind of funny, but it was a pretty revolutionary piece of home machinery at the time. 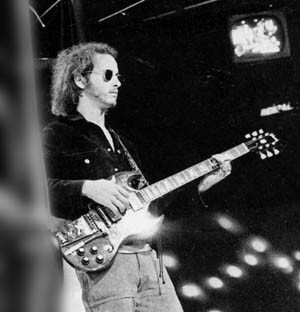 Robby Krieger on "When The Music's Over"
May I reprint your blog post on http://www.jimmorrisonproject.com? Yes. If you credit properly and link back. Thanks.